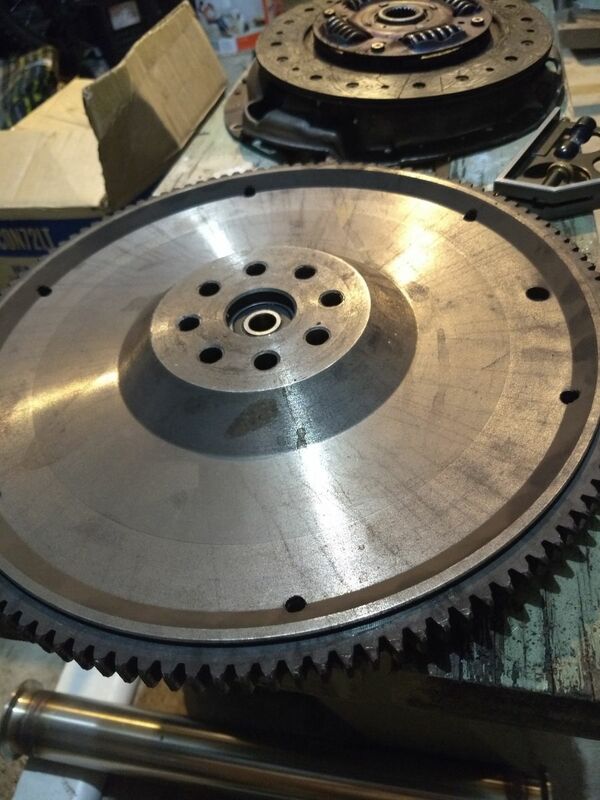 Anyone know what this flywheel is? Just wondering if anyone can help me identify this flywheel? I removed it from my car a couple of weeks ago as i needed to change the clutch. It looks like a custom machined/lightened job and weighs 16lb vs my newer flywheel (standard subaru flex plate style of 24lb). 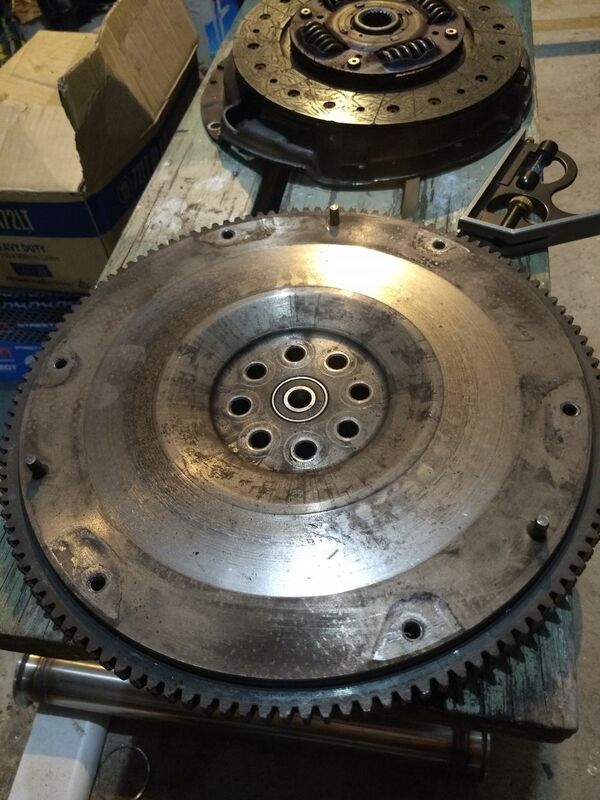 It takes a 225mm clutch vs the flex-plate's 230mm. The 225mm clutch is easy to identify but not the flywheel.. I almost want to put the old flywheel back in as the 8lb heavier setup really knocked the guts out of my engine! It feels so much more sluggish..
With a bit more researching i think this is a lightened version of an impreza flywheel from around 2007-2010. I have no idea why someone might have gone to that much effort in machining this for a 2003 outback (ADM).. It might be an after market stock replacement wheel. Some of them can be in the low 20 to high teens weight. maybe previous owner gave it to a milling process cuz of cracks on a flywheel.